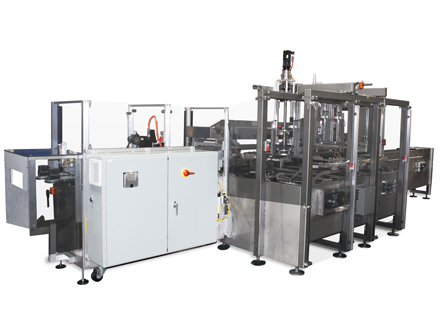 For this application, the MK-IMA was horizontally cartoning bottles at 32 per minute. The MK-IMA featured an integrated AFA leaflet feeder. A timing screw infeed system was used to control back pressure and provide accurate bucket loading. 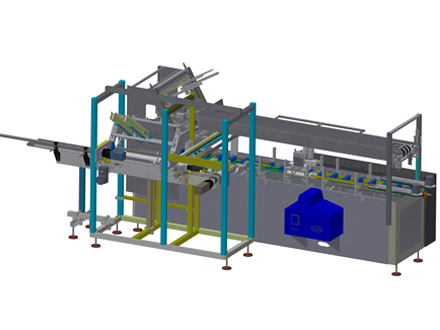 The AFA Rotary Feeder provided world-class carton erecting at intermittent cycles. All major actuated devices are servo driven on the MK-IMA. View here. The MK-CMA is a robust, continuous motion cartoner capable of running up to 150 cartons per minute. The system features a continuous motion overhead confiner to handle a wide range of product applications. The manual load station can be extended to fit additional operators to improve speed. An Allen Bradley CompactLogix PLC, PanelView 700 HMI and Servo Controls package are all standard on the system. View here. AFA Systems Ltd. has formed a new division called AFA Cooper Inc. after the acquisition of Cooper Machine & Tool Co. (www.coopermachine.ca). Paul Langen, President of AFA Systems said, "Having AFA Cooper as part of the AFA family will ensure a broader range of services and products for our customer. Our goal is to provide innovative machinery that starts from bag producing right down to case packing or palletizing." Click here for more information on the acquisition.